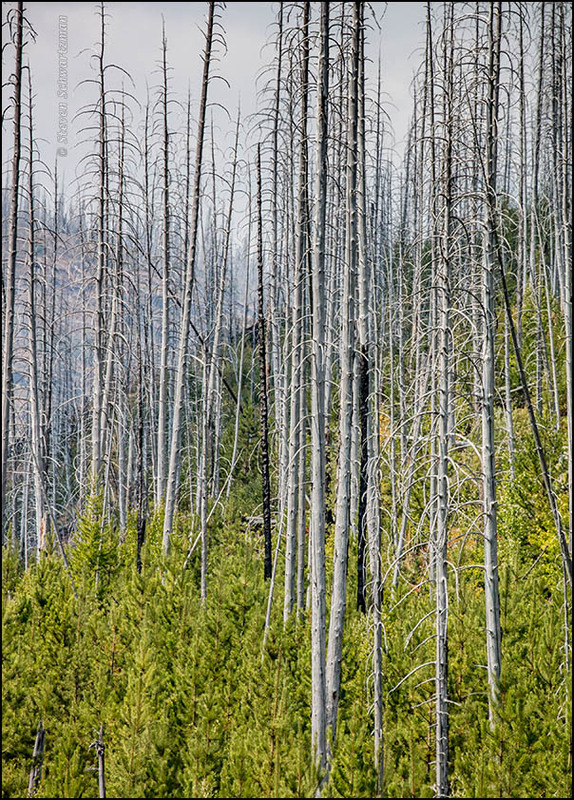 Intermittent fires are a part of the life cycle in forests. Here’s a view of previously burned woods in Glacier National Park, Montana, a year ago today. The smoke in the air came from fires currently burning, and days later authorities had to close parts of the park because of the danger. 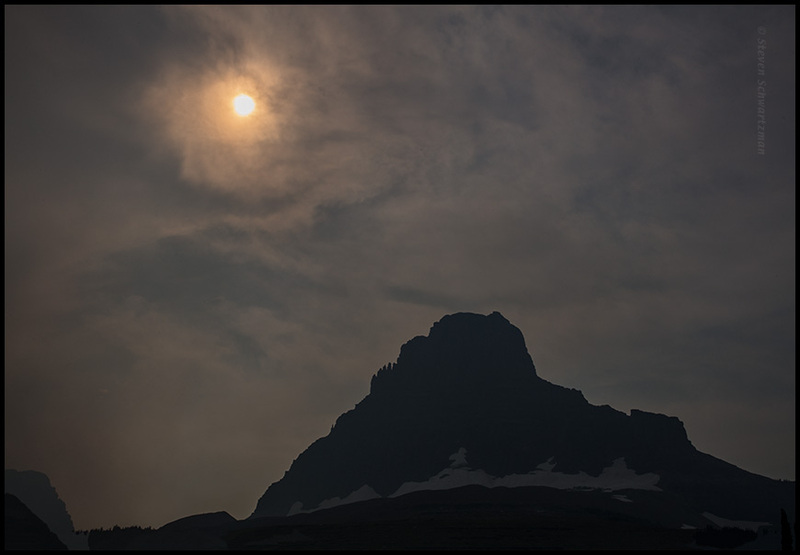 Below is an eerie, smokier scene from the previous day, also in Glacier National Park, showing Clements Mountain. 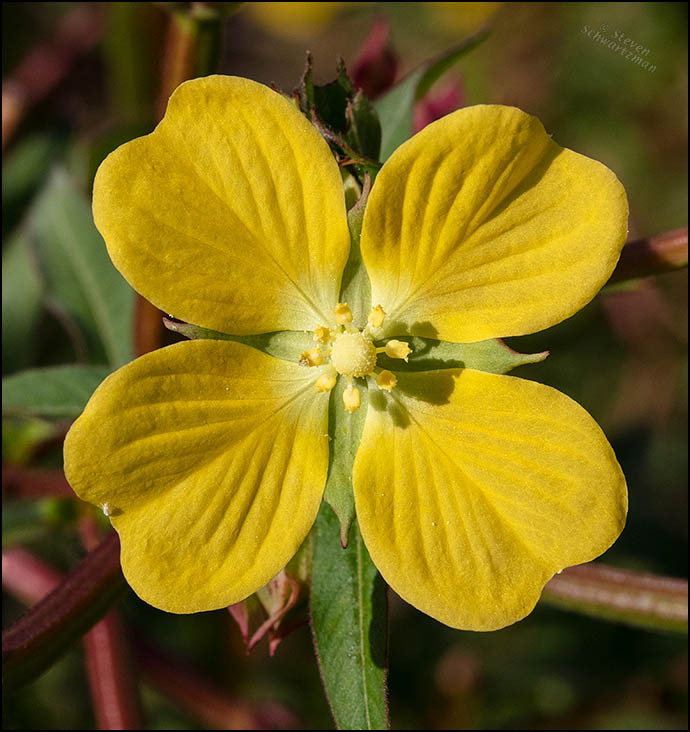 The cheerful flowers of water primrose (Ludwigia octovalvis) are a reliable sight at the edges of ponds and creeks in central Texas. I photographed this one on August 17th close to the newly created street of Bachman Dr. on the Blackland Prairie in northeast Austin. 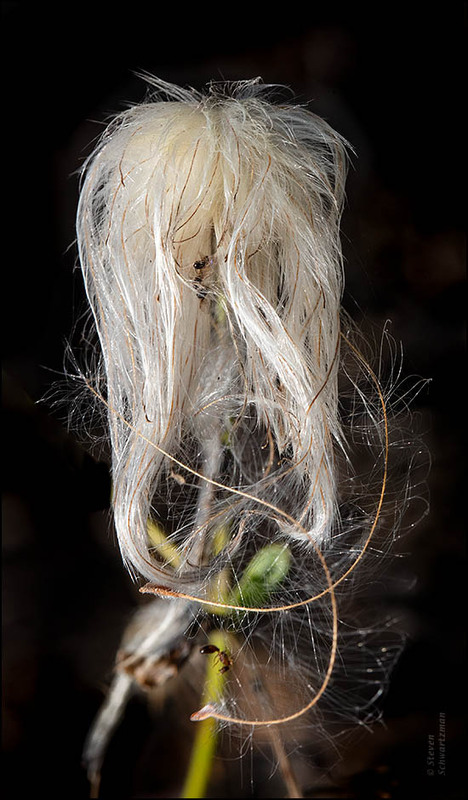 Below is a rather abstract view showing a cobwebbed water primrose seed capsule. 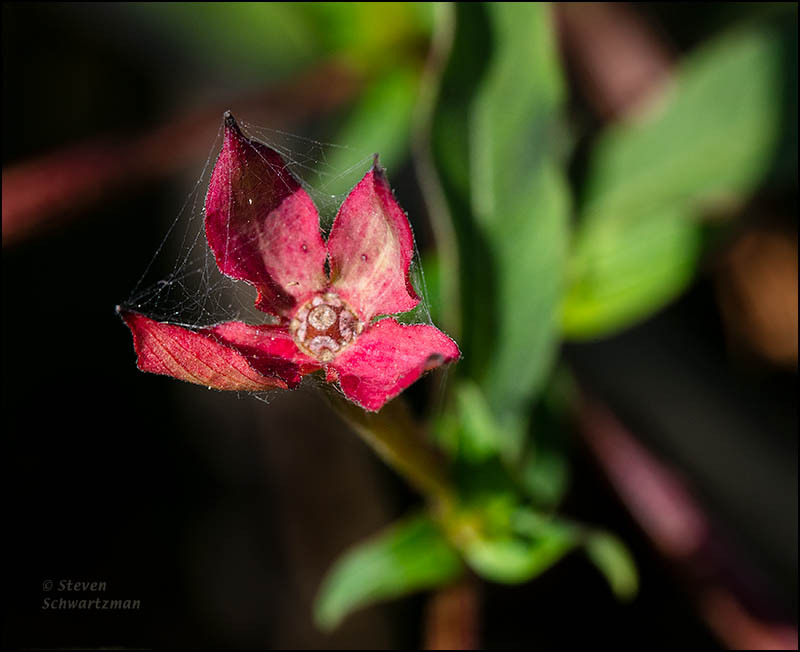 I was surprised to learn recently that this species grows in many parts of the world and that its original native range is uncertain. UPDATE: Thanks to Tanja Britton for correcting yesterday’s post. What I’d thought was a chipmunk turned out to be a golden-mantled ground squirrel. How about this golden-mantled ground squirrel (Callospermophilus lateralis) nibbling on a dry plant in Waterton Lakes National Park, Alberta, a year ago today? 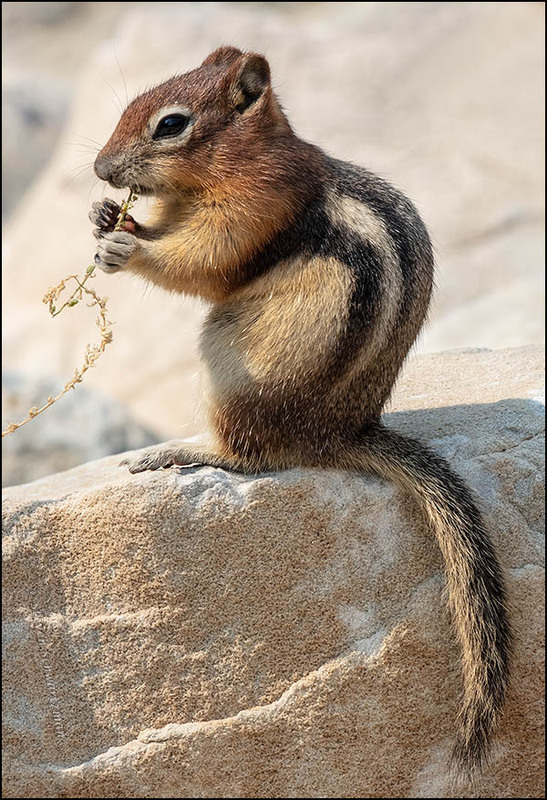 UPDATE: Thanks to Tanja Britton for correcting my misidentification of this little animal as a chipmunk. I’m better at photographing than knowing what I’ve photographed. You can decide for yourself whether this longtime correspondent of yours is erratic. 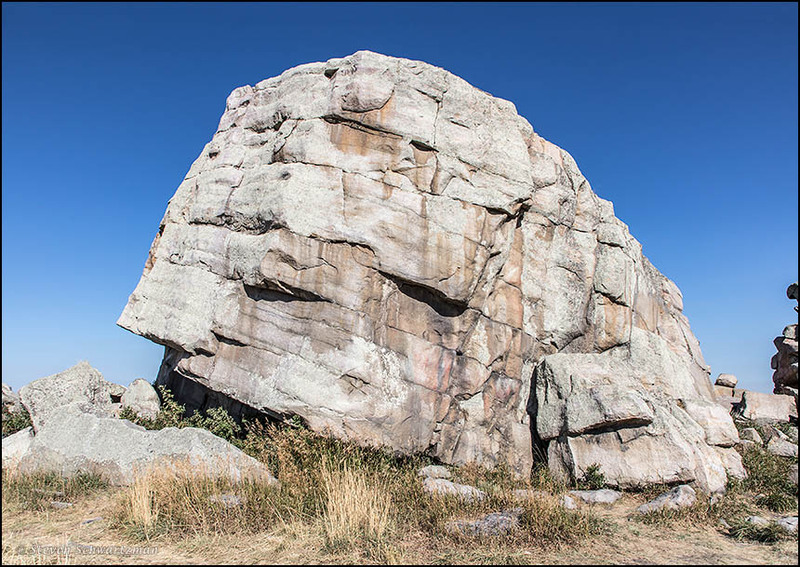 What’s indisputable is that the Big Rock isolated near Okotoks, Alberta, is an example of a glacial erratic. That phrase tells you that during the last ice age glaciers carried this boulder southward and then dropped it in its current location when the ice melted. 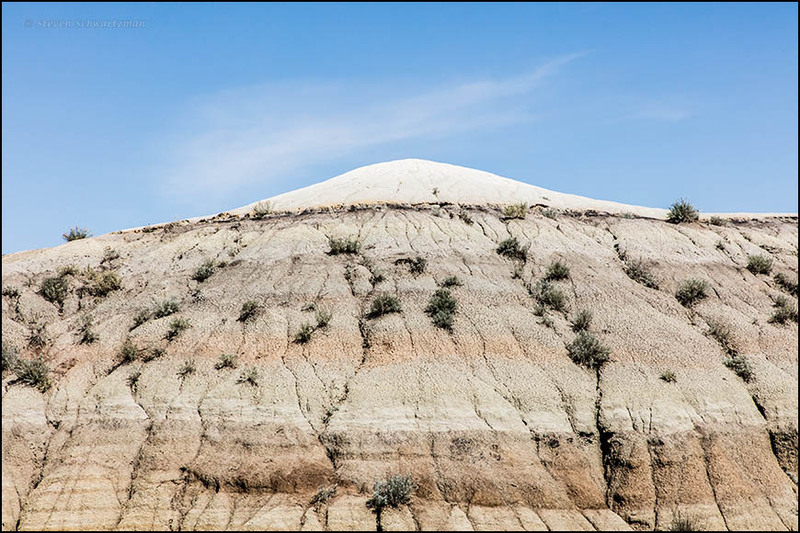 There it had stood conspicuously for millennia, unlike anything on the prairie around it, when we visited it a year ago today. 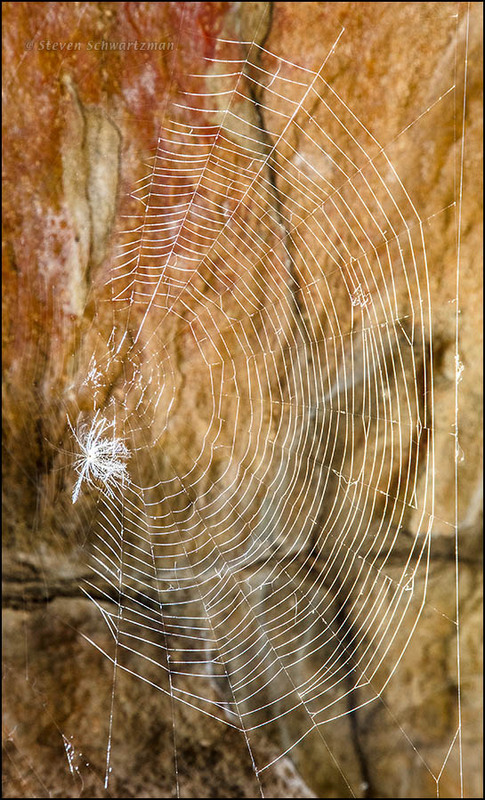 Contrasting with the weighty boulder was a small white feather caught in a spiderweb at the base of the rock. 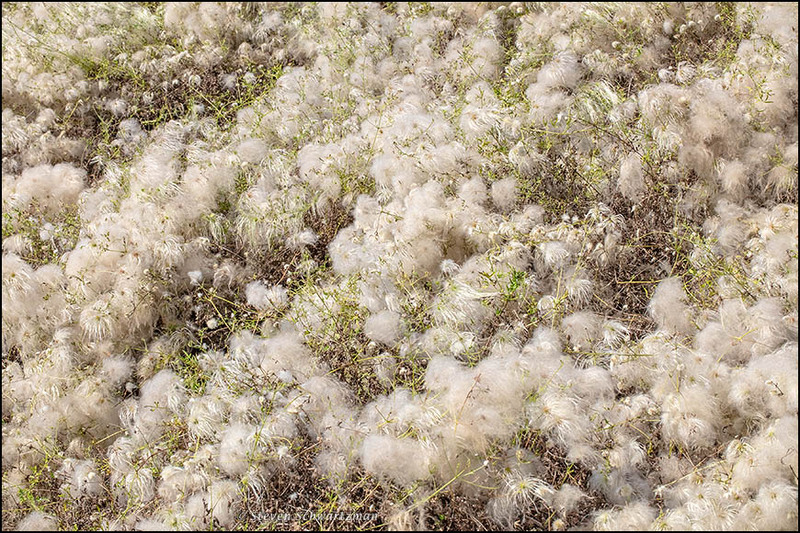 On August 17th I stopped along S. 10th St. in Pflugerville to photograph an embankment covered with Clematis drummondii that had gone into the fluffy phase that earned this vine the colloquial name “old man’s beard.” After walking almost back to my car I spotted one clump of strands drooping in a way I’d rarely seen. 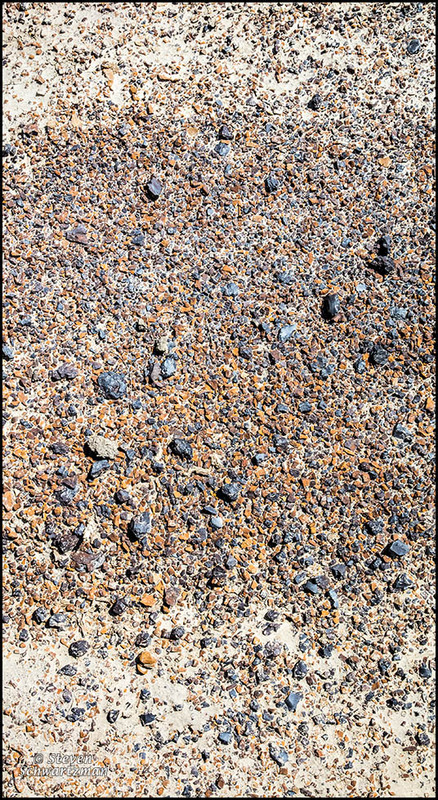 Naturally I got close to photograph it, and then I noticed the dead ant that’s near the bottom of the picture, along with a few other tiny dead insects inside the clump. My first thought was of a spider but I saw no evidence of one. Those insect deaths remain a mystery. 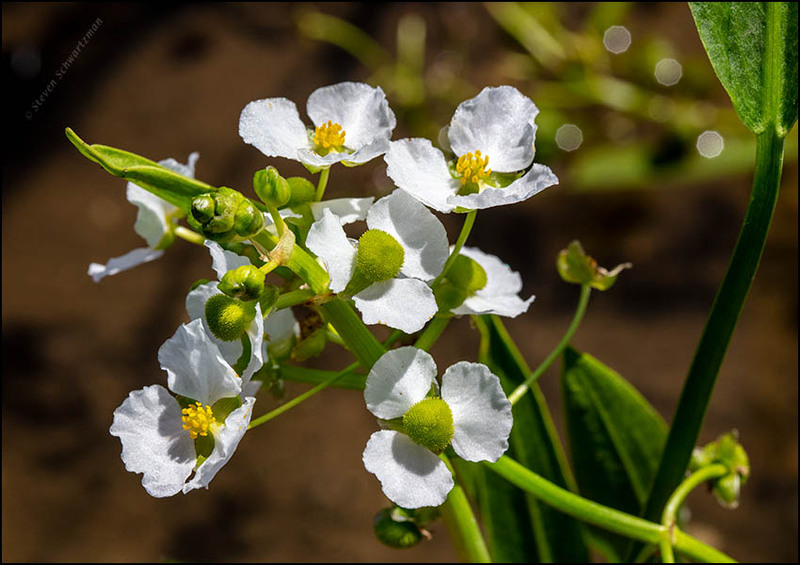 After seven years of promoting local native wildflowers, here’s one I’ve never shown before: Sagittaria platyphylla, called delta arrowhead. I photographed it in a pond on the Blackland Prairie in northeast Texas on August 17th. Light reflecting off water droplets and passing through my camera lens caused the little nonagons in the upper right. I could’ve taken them out but left them in in the interest of geometry (and so I could write a sentence with in in in it—which now means I’ve also written a sentence with in in in in it, and could extend the series at will). On the afternoon of August 24th last year we flew from Houston to Calgary, arriving shortly before twilight. 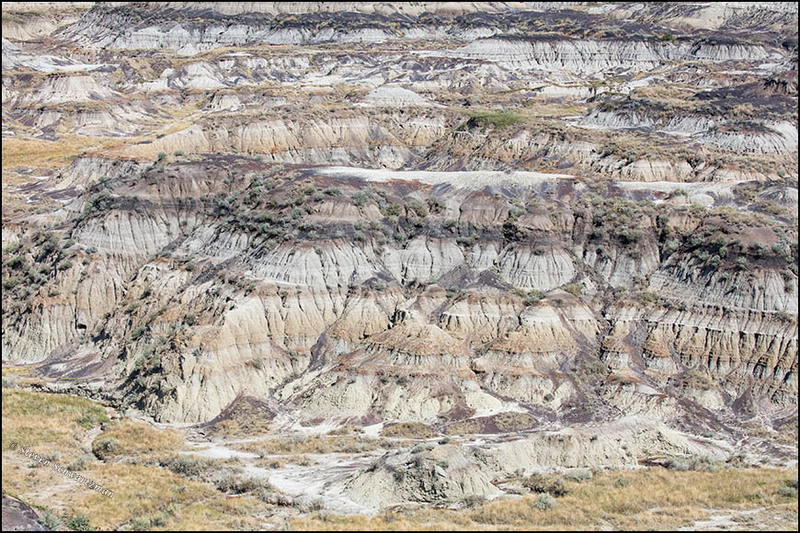 By late the next morning we’d already driven two hours northeast out onto the prairie for our first encounter with the badlands of Alberta, which took place in Horseshoe Canyon. 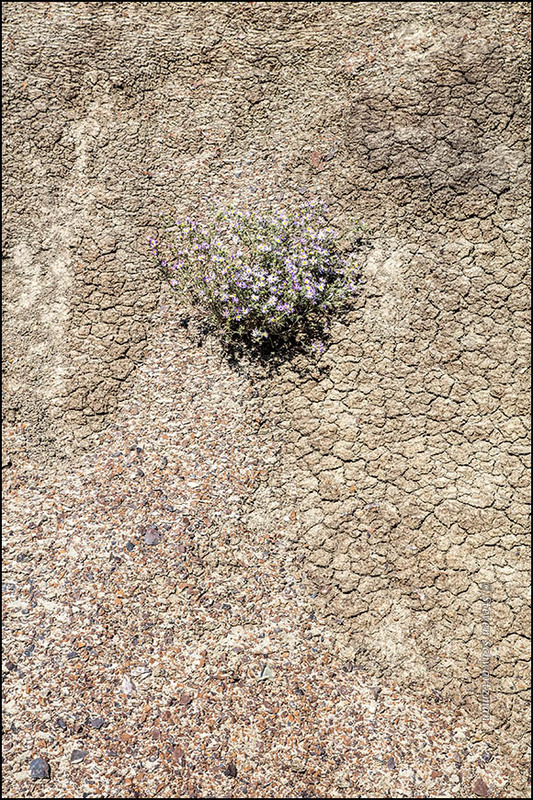 On parts of the ground nothing grew. 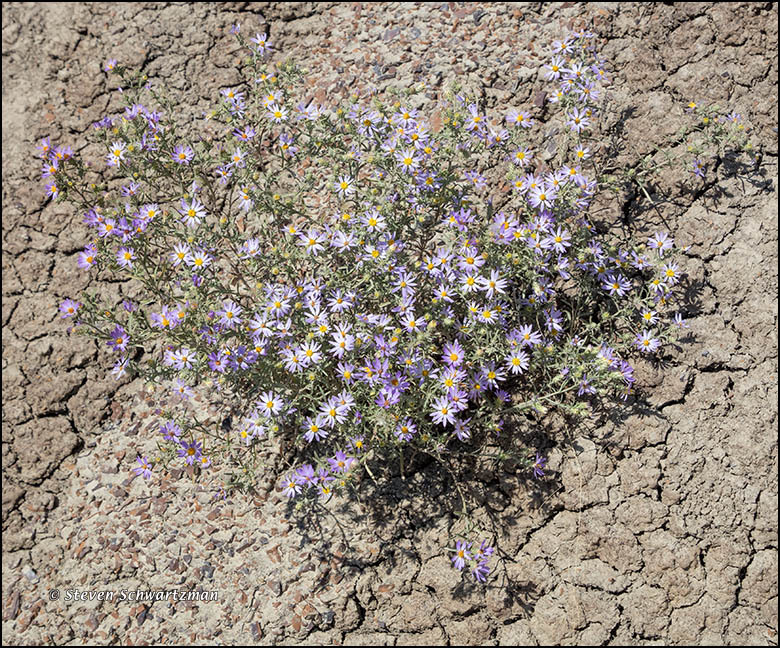 Yet even on seemingly barren ground some badlands plants did thrive. Take the scattered bushes in the second photograph and the asters below.